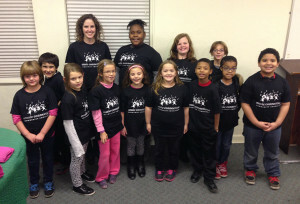 Music Connections Foundation’s Community Choristers has a mission to enhance children’s lives through rich, engaging experiences in a quality singing ensemble. Music Connections believes that every child is musical, and that those innate abilities can be enhanced when children participate in Community Choristers. Further, MCF believes that children’s non-musical skills such as reading, literacy, social skills and even physical skills can be fostered through experience in our program. 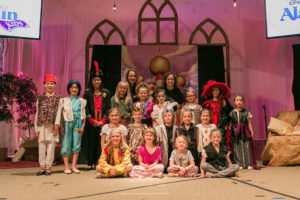 The curriculum will include exposure to basic singing concepts such as breathing, posture, pitch matching, and rhythm, and the child’s “head voice” will be fostered and developed using proper singing technique. Basic music reading skills will also be introduced. 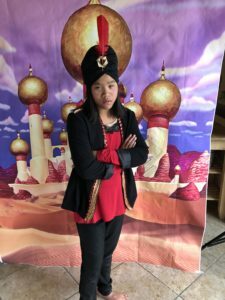 Weekly rehearsals and at least two performances per school year will be a regular part of the program; the performance experiences help children strive for excellence and understand “artistic-level” preparation, while doing so in an encouraging, non-pressured atmosphere. Once registered, your enrollment in Choristers is ongoing. Just let us know prior to the beginning of the new session or a new month if you want to discontinue. Session 3 (4 Weeks) We will be working to build individual techniques which would be used in a production audition setting. Each student will leave the term having learned a solo they could sing in an audition setting and a poem they could present as a dramatic audition along with working on movement skills. We will spend approximately 20 minutes each week on each discipline. These skills will then be further developed in a production setting in Session 4. Session 4 (12 Weeks) will then lead to a production entitled, “Music Changes the World.” In this session, we will learn songs which will be used both in our production but also in Habitat for Humanity’s annual Love Thy Neighbor concert. The Love Thy Neighbor concert will be held Sunday, April 28 and we will be required to attend at least one Saturday morning rehearsal leading up to the concert. MCF Community Choristers seeks to promote socialization and “community” across all socio-economic and racial boundaries, and desires an all-inclusive composition in its ensembles. MCF Community Choristers will experience and perform a variety of music from all genres, cultures and religions. MCF Community Choristers Founding Ensembles are open to all children and will not require a vocal audition. MCF Community Choristers will at all times foster principles of respect and responsibility, both among members and in association with adults.